With Football Season around corner, forget watching the game in your room or at the hotel bar and enjoy Monday Night Football season at Las Vegas’ Hearthstone Kitchen & Cellar at the Red Rock Hotel & Casino where you can kick back comfortably, nosh on $12 All You Can Eat Wings, drink $8 pitchers, and not miss one second of the action on the five 60 inch screens and eight 50 inch screens mounted around the restaurant and bar areas. In addition, Hearthstone has teamed up with Red Bull Blue Edition and 50 Bleu Vodka for an exclusive Super Bowl 50 contest. From September 14th – December 21st, every Monday, anyone who orders a Blue fifty-two cocktail (made with 50 Bleu Vodka, Lemonade, Blue Edition Red Bull) will be entered into a drawing for a chance to win (2) Two tickets to Super Bowl 50 in San Jose! 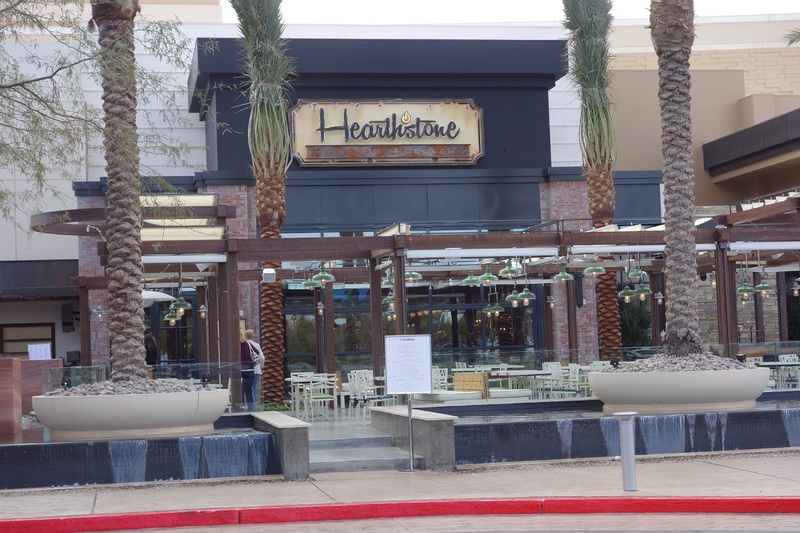 To make way for Monday night football, Hearthstone has moved their famous Vino Monday’s to Vino Tuesday’s. Come into Hearthstone from 5-10pm on Tuesday nights to enjoy your favorite high-end wines priced at $100 or more for 1/2 off.